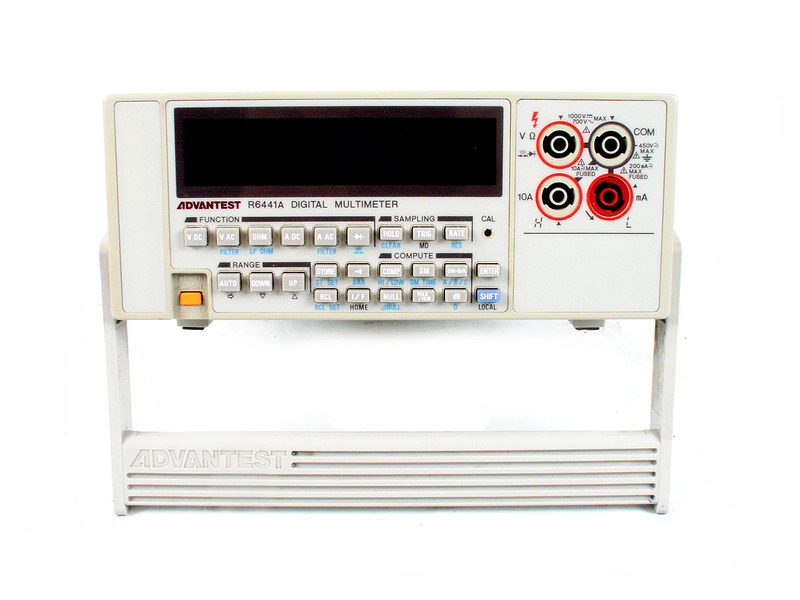 Advantest R6441A Digital Multimeter similar to Fluke 45. 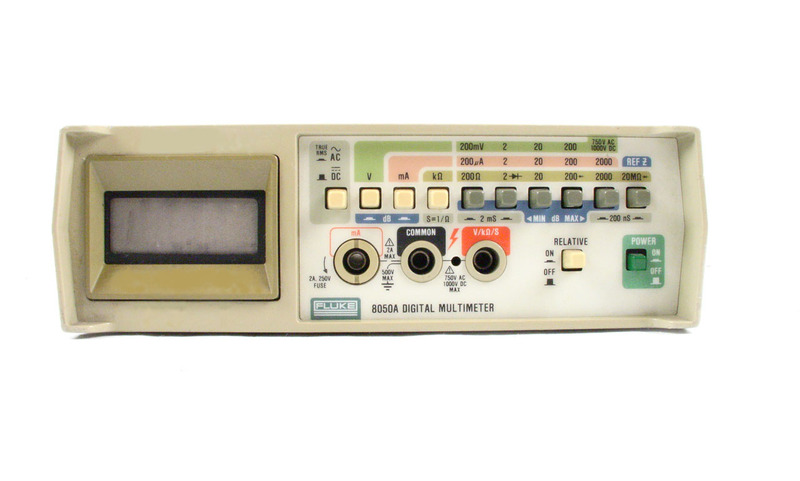 Dual Input / Dual Display. 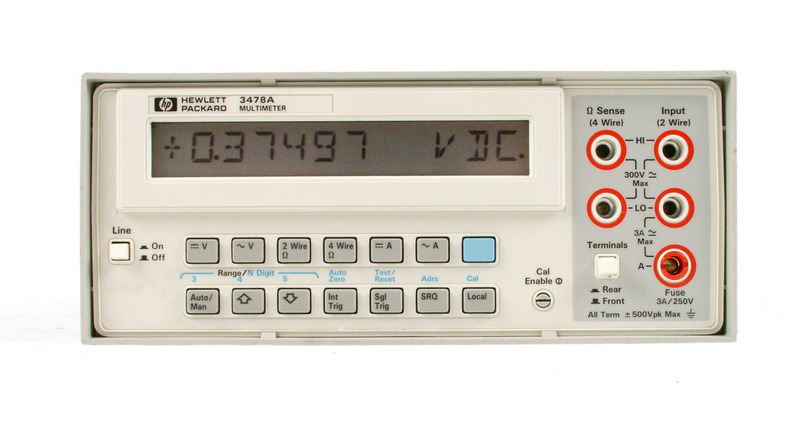 5 1/2 Digit. 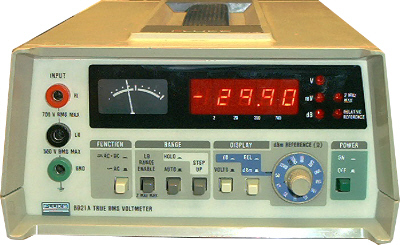 Agilent HP 3403C TRMS AC Voltmeter. 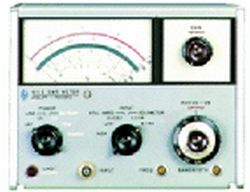 2 Hz to 100 MHz. 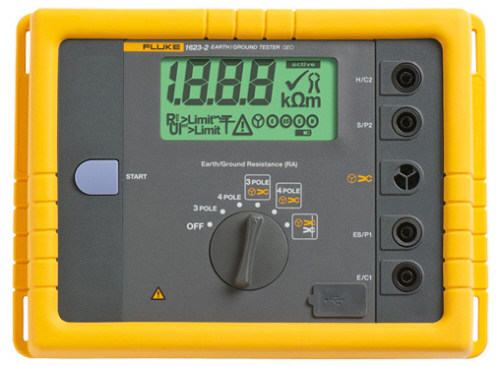 Includes opt 3 & 6 (autorange, remote control, digital output & dB display). 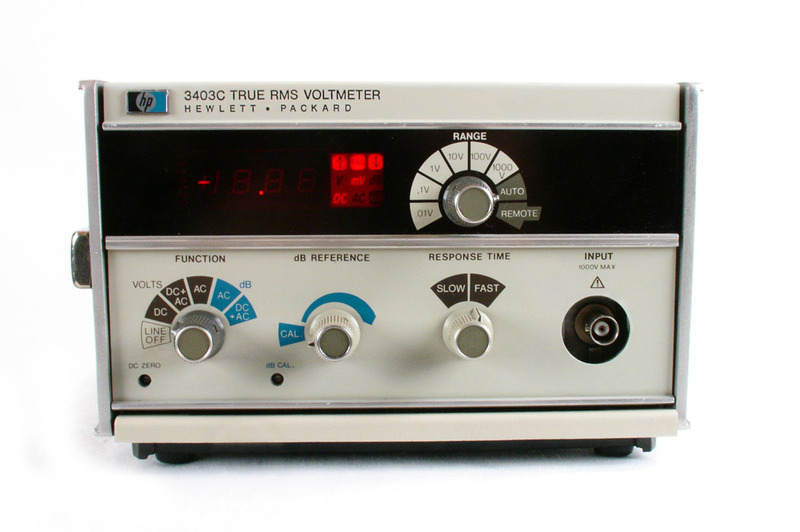 Agilent HP 3403C True RMS Digital Voltmeter with Option 01 Autoranging. 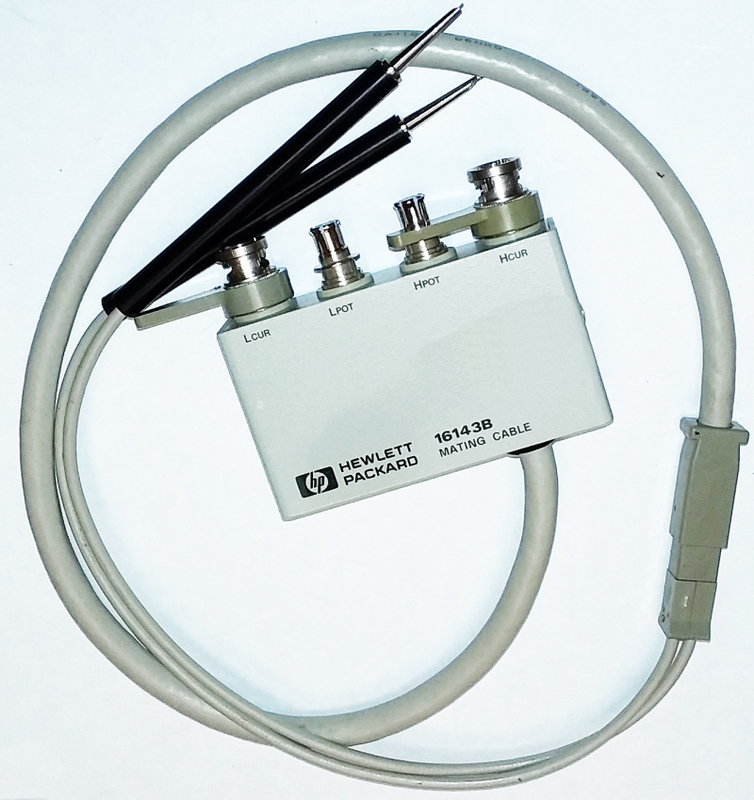 DC to 100 MHz. 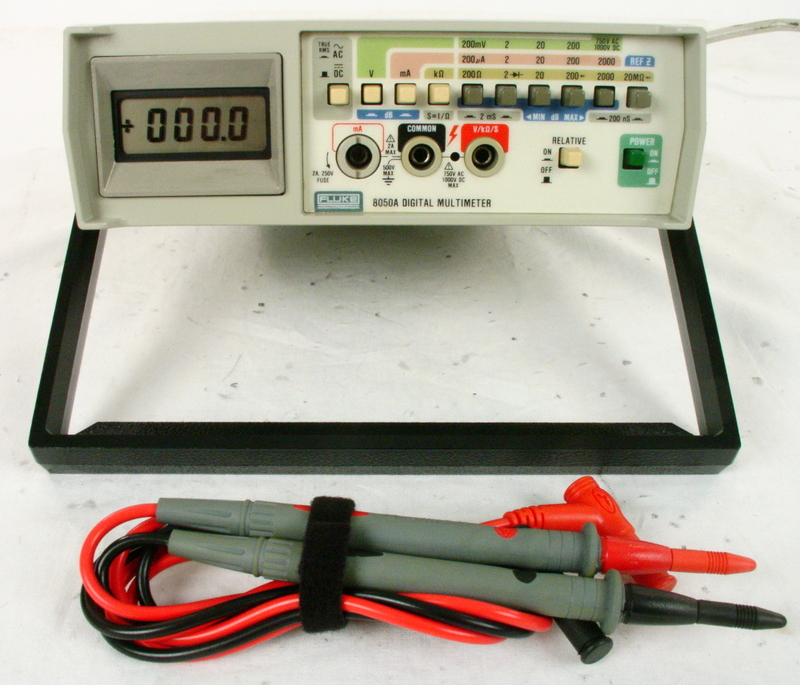 Agilent HP 3457A 6.5 / 7.5 Digit Digital Multimeter. 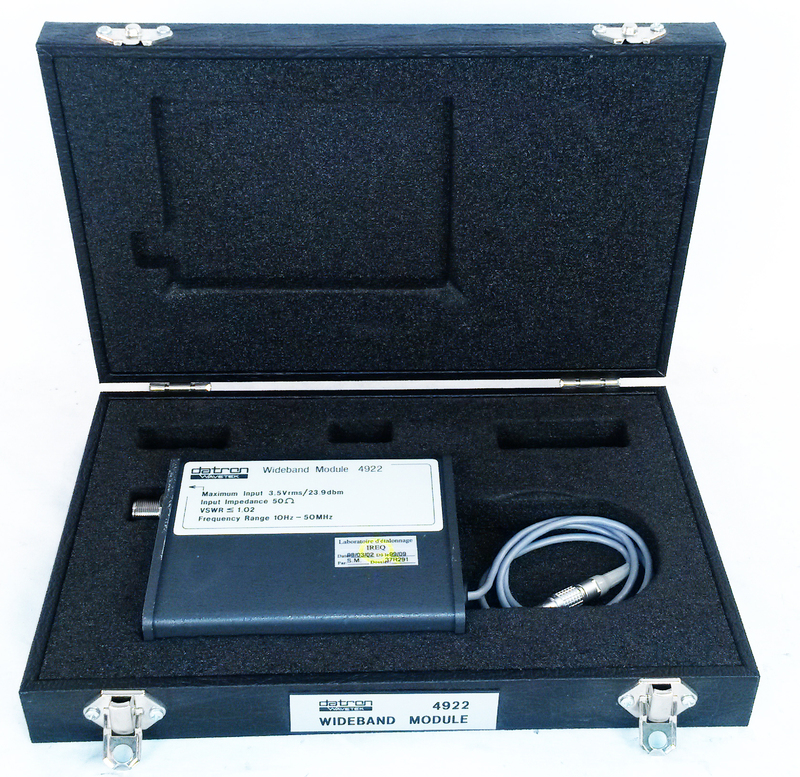 Agilent HP 3586B - Selective Level Meter includes Option 004 - High stability timebase. 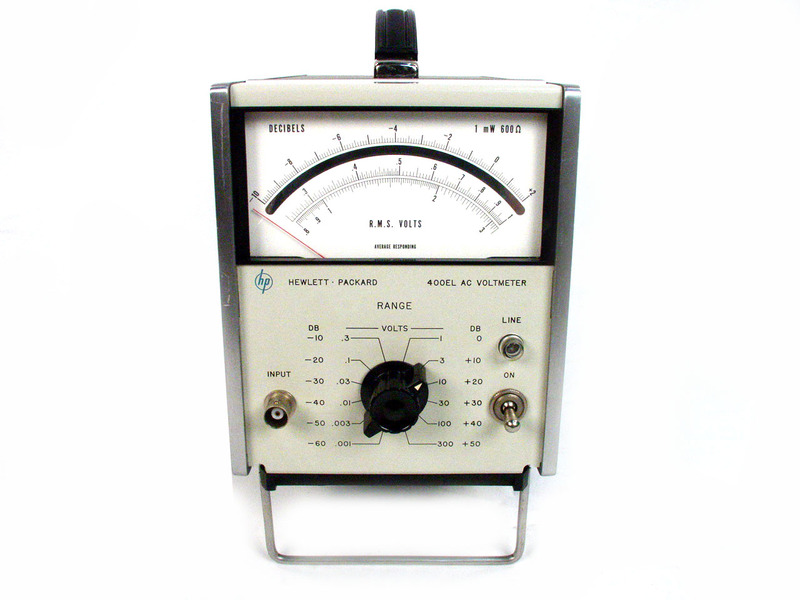 Agilent HP 3586B - Selective Level Meter. 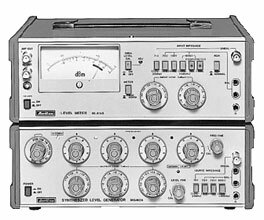 50 Hz to 32.5 MHz. 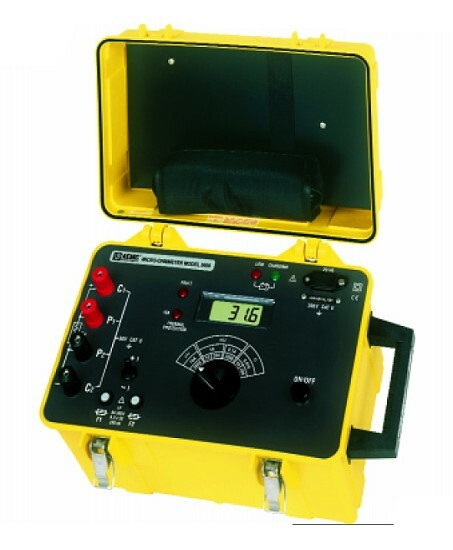 Includes Oven Timebase and Impairment Function options. 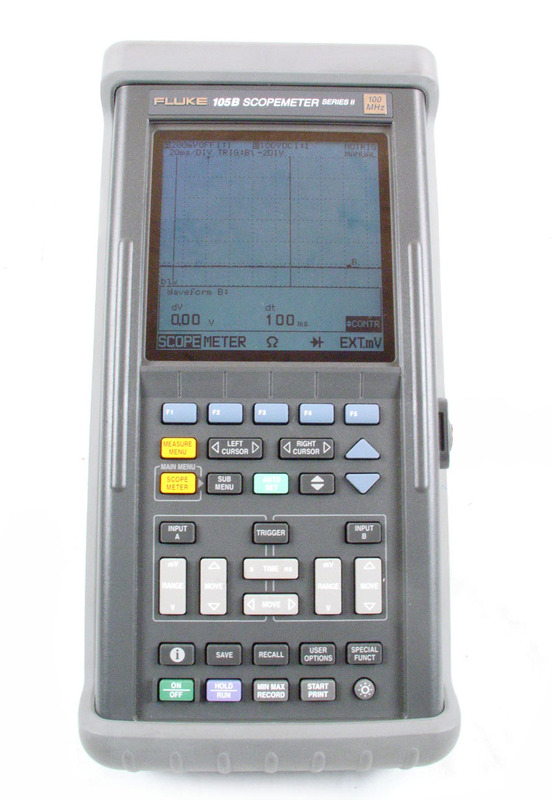 Agilent HP 3586C Selective Level Meter. 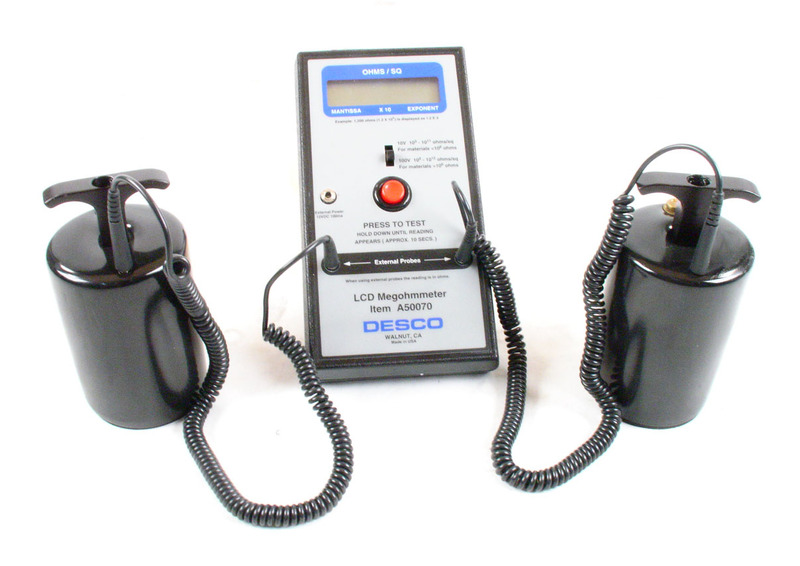 50 Hz to 32.5 MHz 50 175 Ohm input. 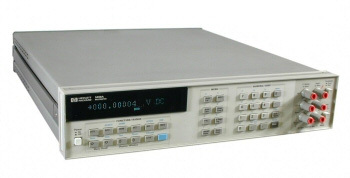 Agilent HP 400E - AC Voltmeter. 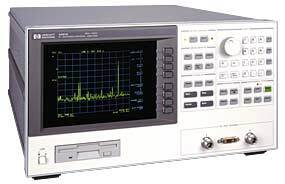 10 Hz to 10 MHz bandwidth. 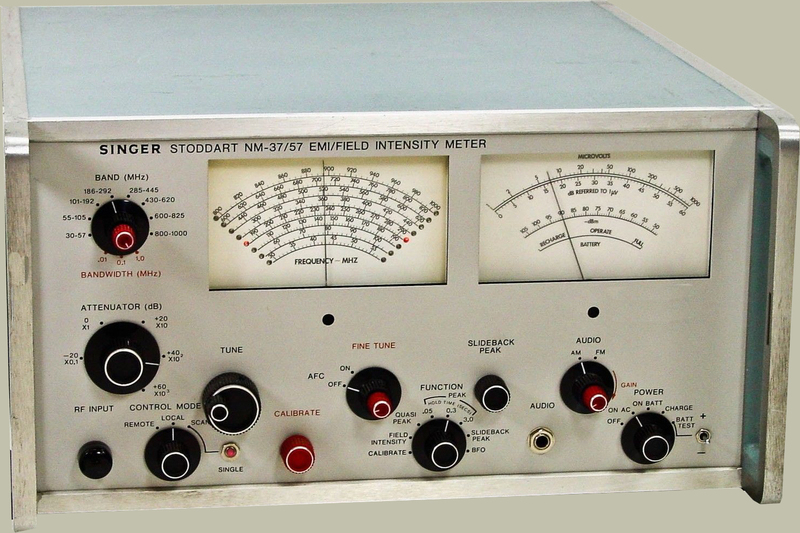 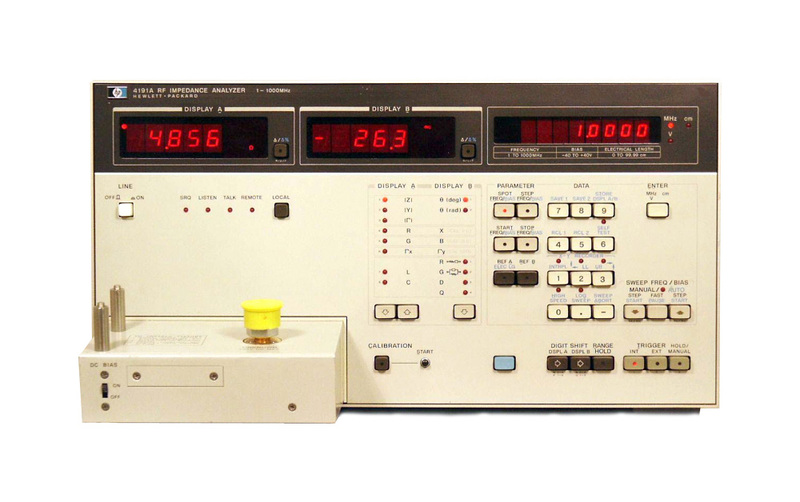 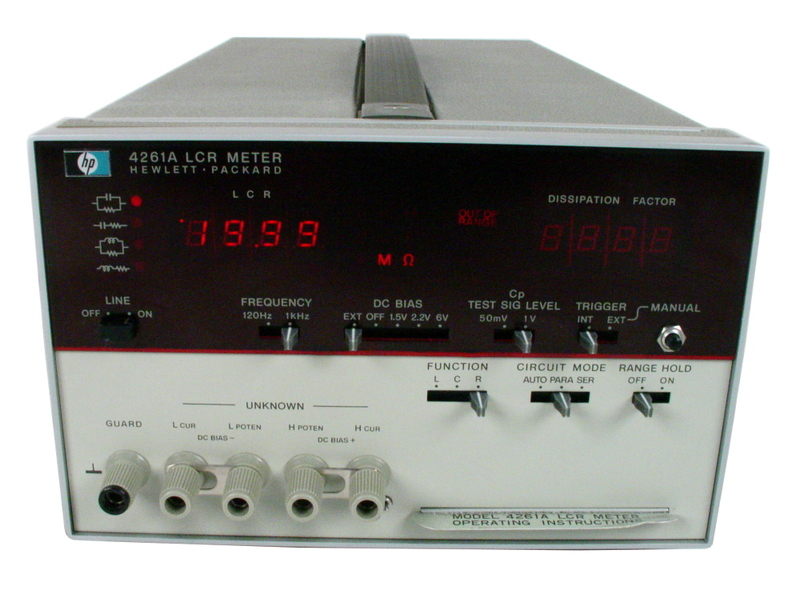 Agilent HP 400EL - AC Voltmeter. 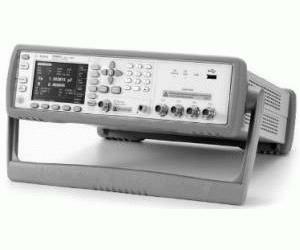 10 Hz to 10 MHz bandwidth. 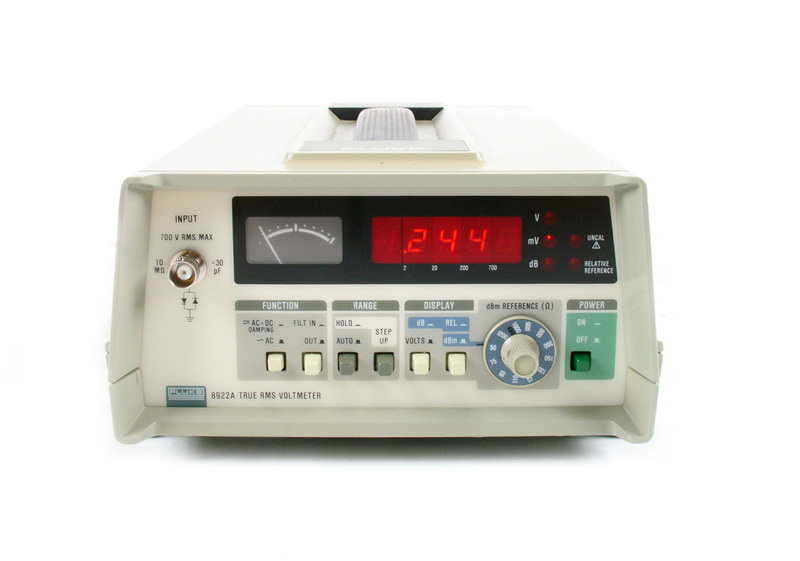 HP 4140B picoammeter / DC Voltage Source. 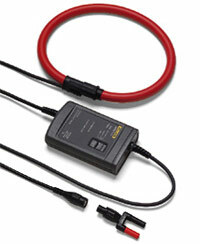 Supplied without test leads or fixture. 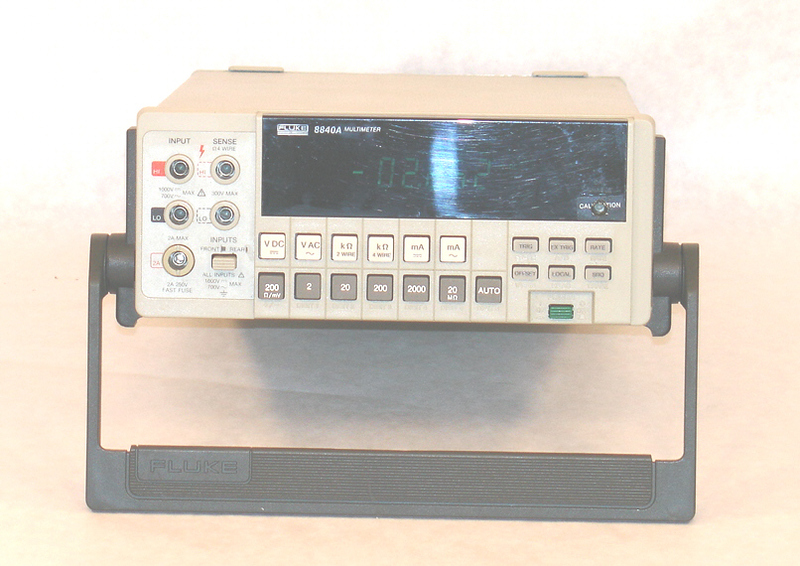 Agilent HP 428B Clip-On DC Milliammeter with probe. 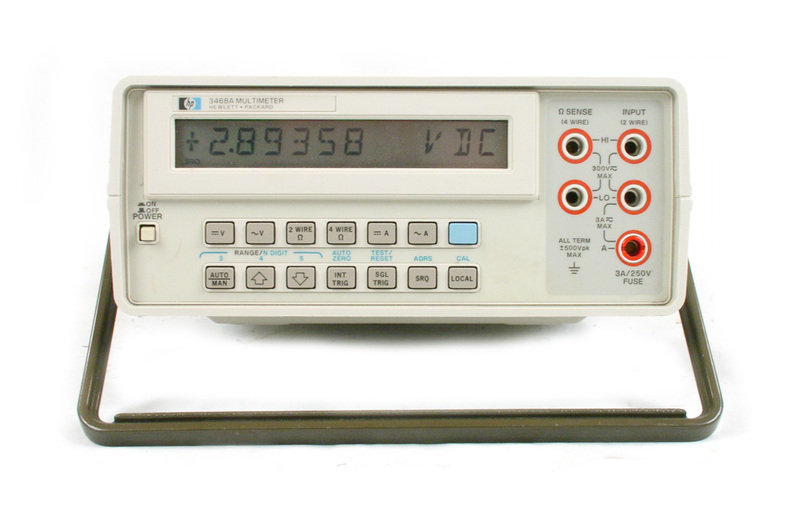 Agilent Keysight 34420A Nanovolt / Micro-Ohm Meter. 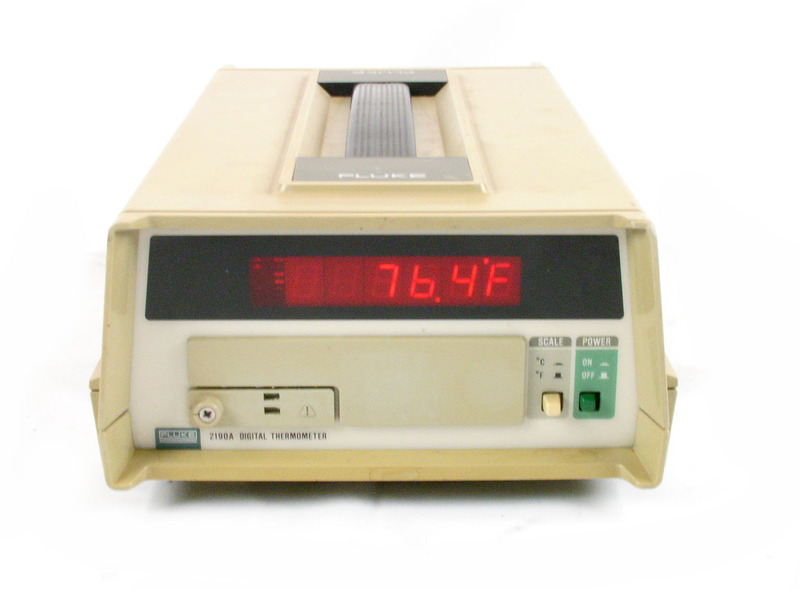 7.5 digit. 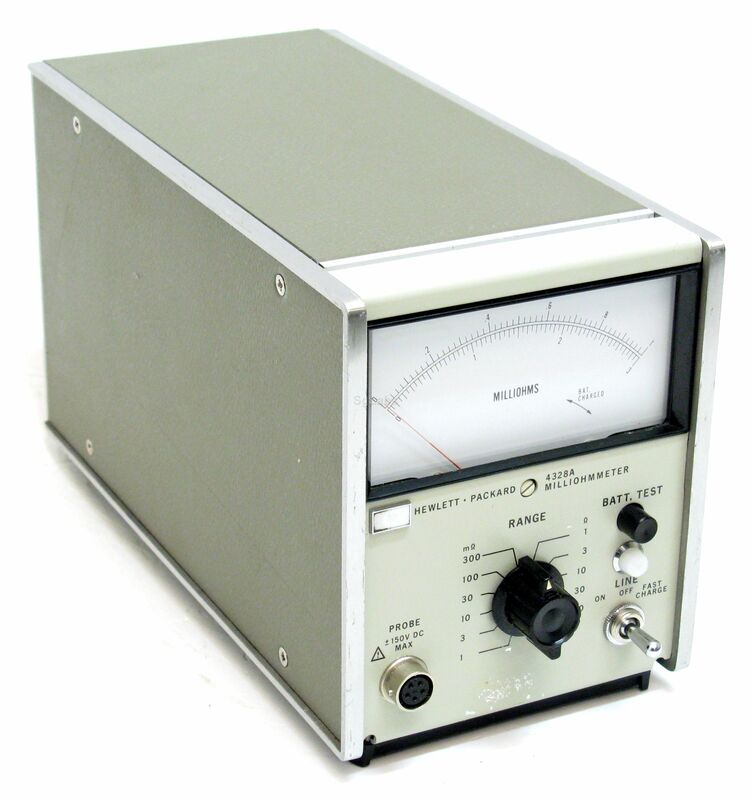 Anritsu ME446B (MG442A Level Generator and ML424B Level Meter) Transmission Measuring Set. 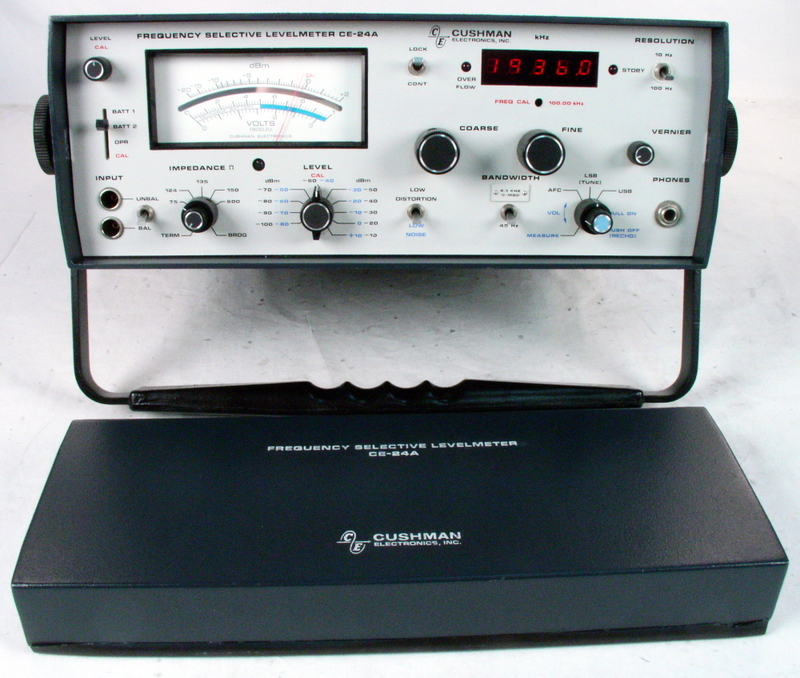 10 Hz to 20 MHz. 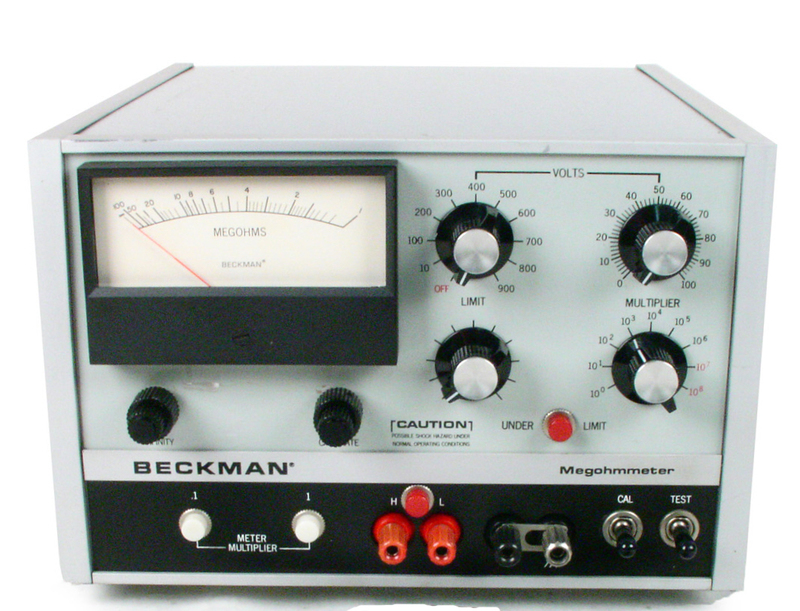 Beckman L10A megohmmeter. 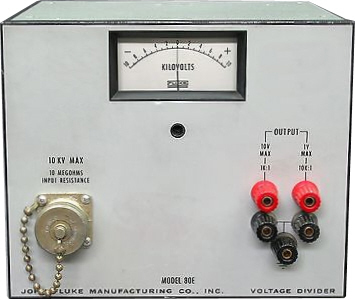 Measures up to 5x10E13 Ohms with nine selectable test voltages of 10-1000V. 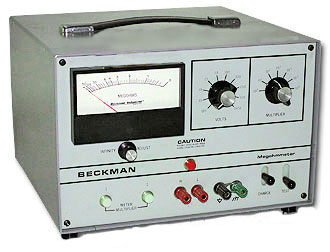 Beckman L8 megohmmeter. 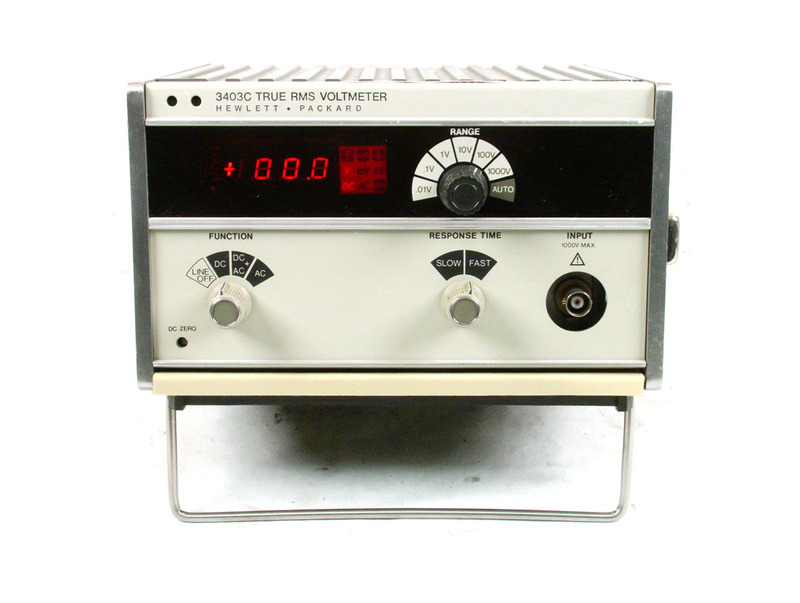 Measures up to 10E13 Ohms with test voltages of 10-1000V. 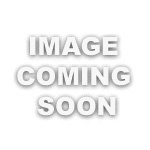 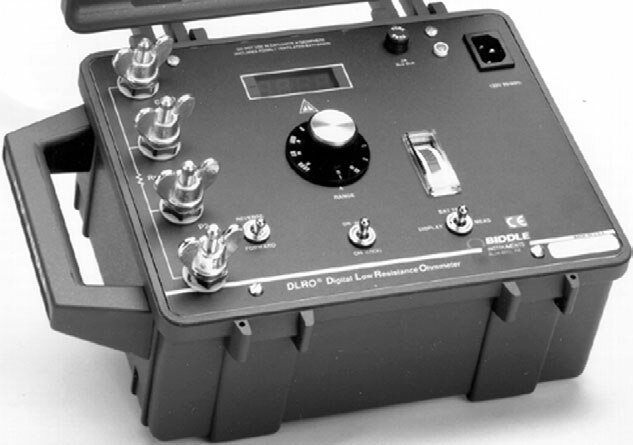 Biddle DLRO 247001-3 Digital Low Resistance Ohmeter. 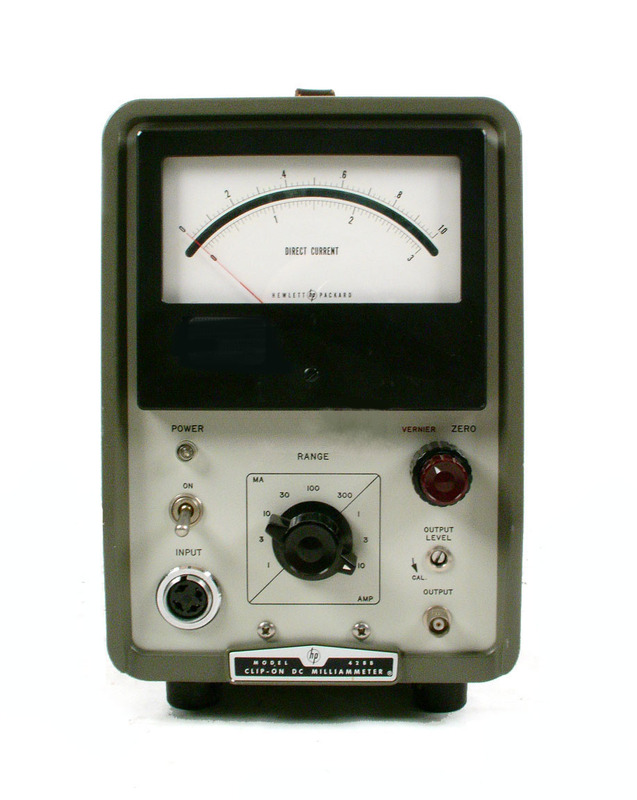 10A, 01 uOhm resolution. 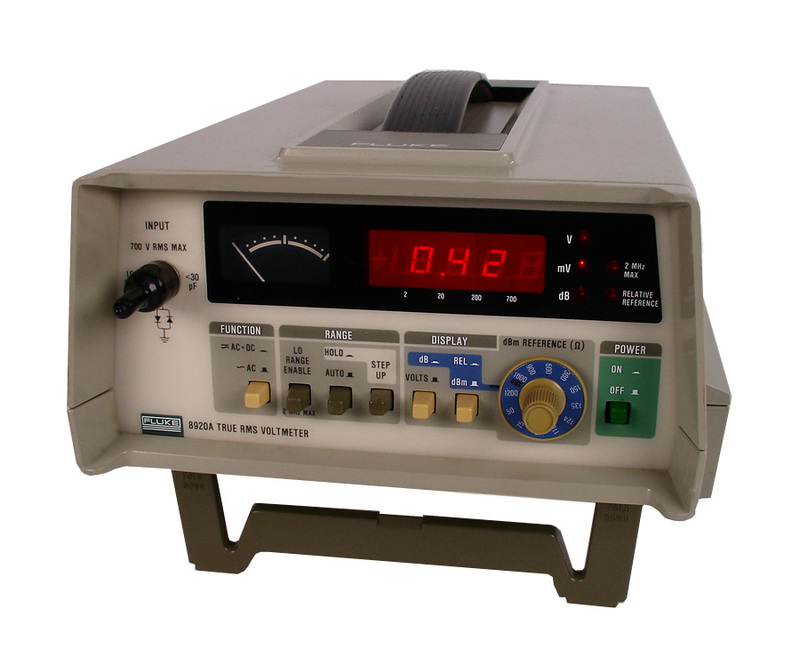 Biddle 550005 TTR Transformer Turns Ratio Test Set. 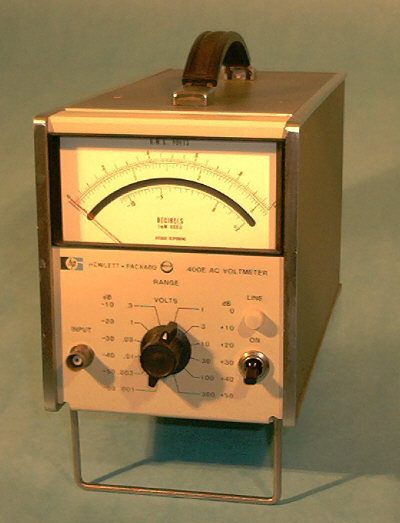 Single phase, hand cranked. 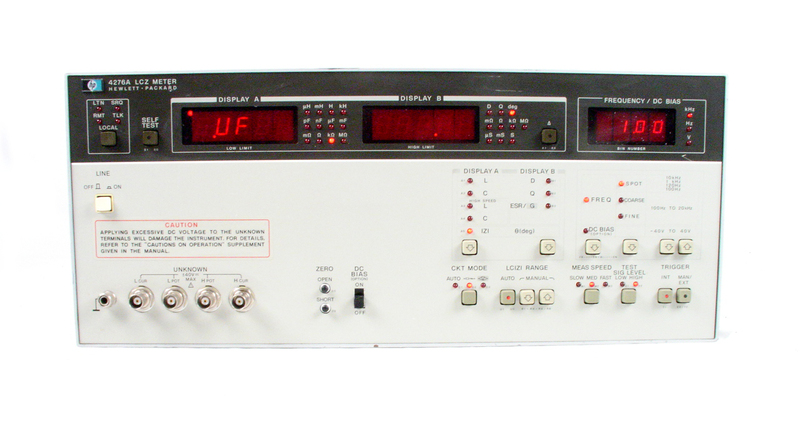 0-1A. 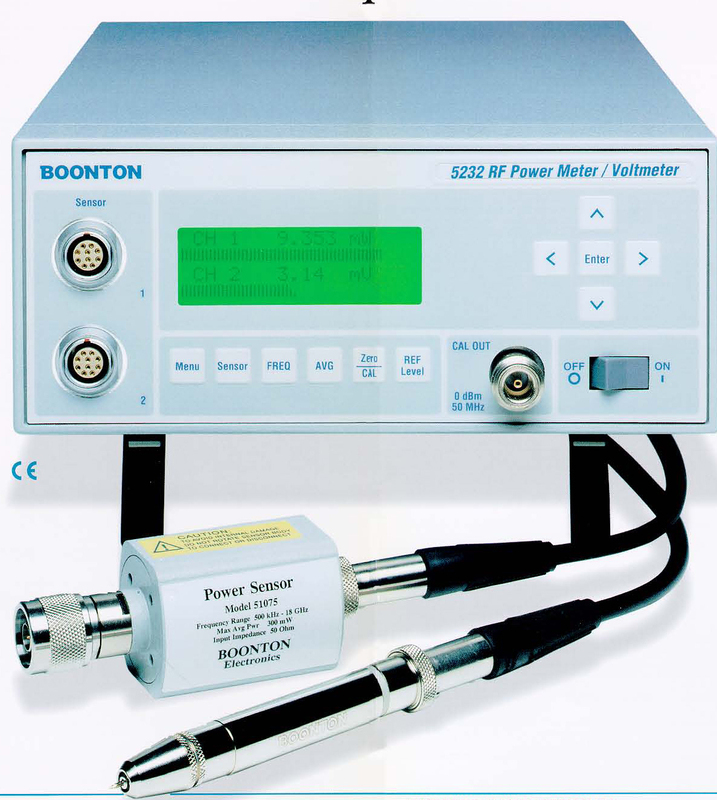 Boonton 5231 RF Power Meter / Voltmeter. 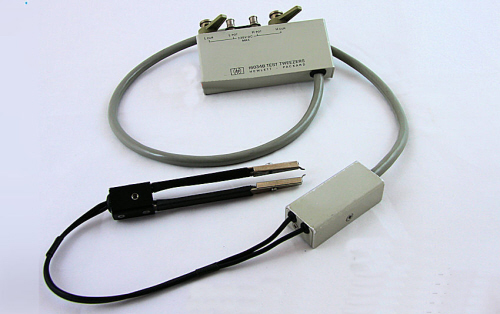 Includes 1.2 GHz RF Voltage Probe model 952001B. 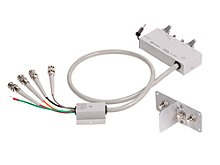 Power Sensor sold separately. 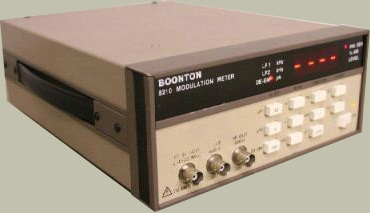 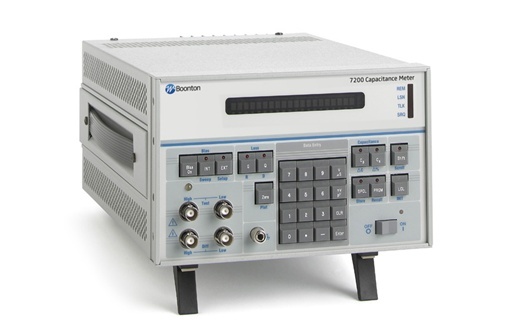 Boonton 8220 10 to 1300 MHz Modulation Meter measures AM, FM, and Phase modulated signals. 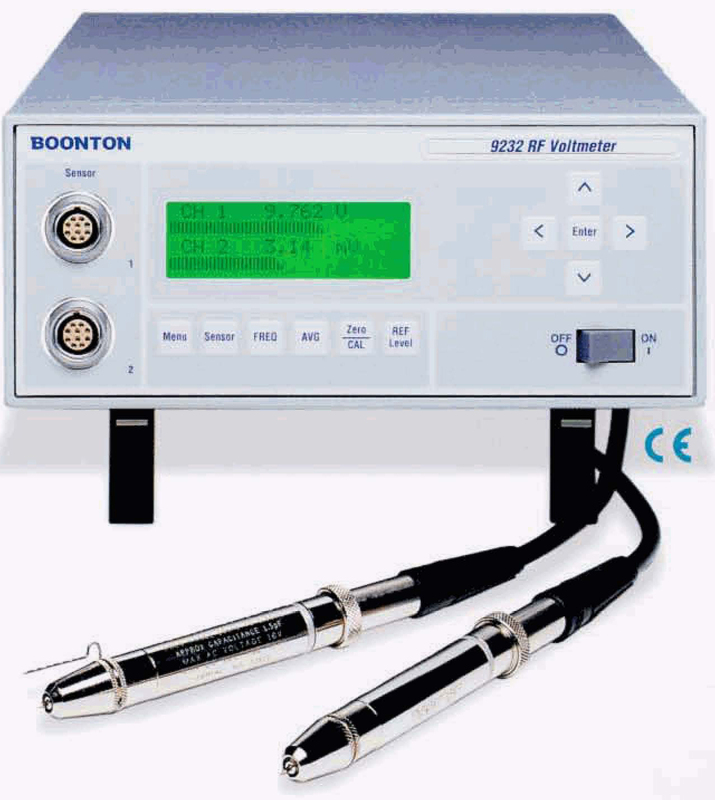 Boonton 9232 Dual Channel RF Voltmeter. 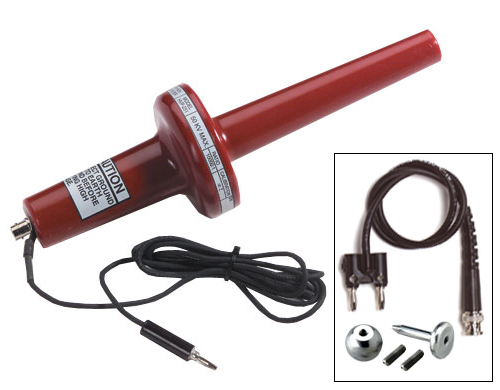 Probes sold separately. 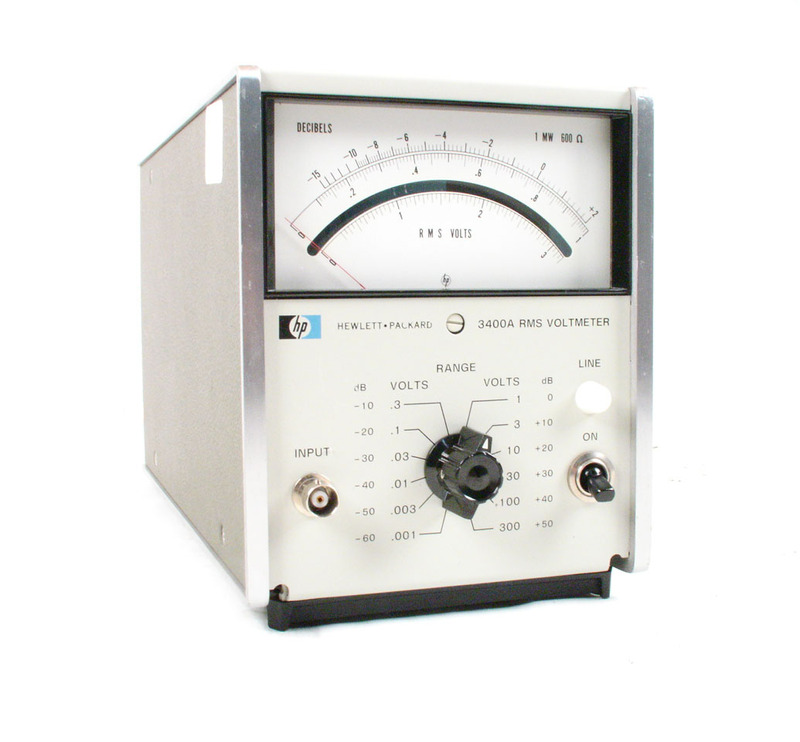 CPS HVP-250 HVP250 Precision1000:1 High Voltage Probe. 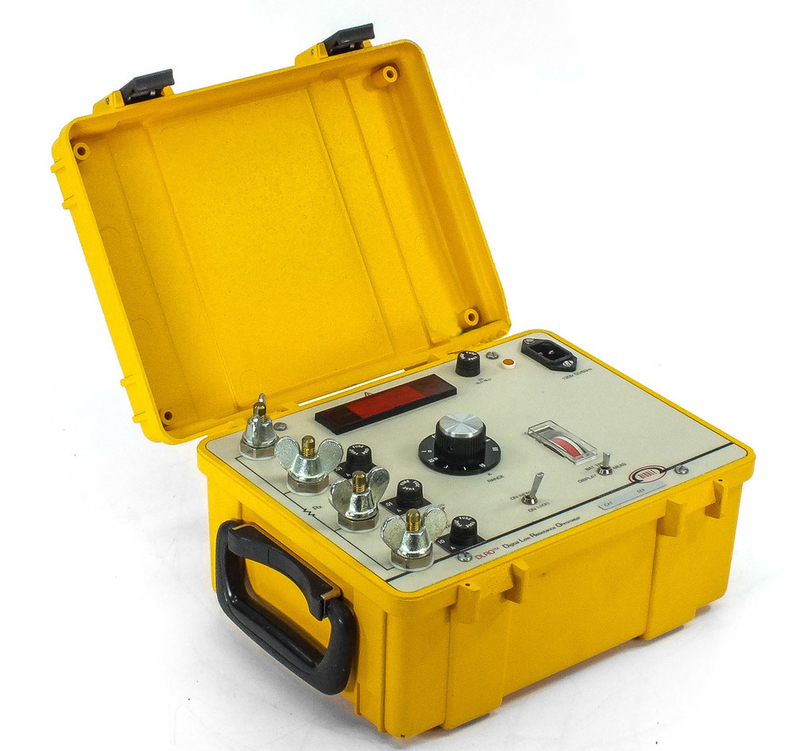 Up to 50 kV DC / 35kV RMS AC. 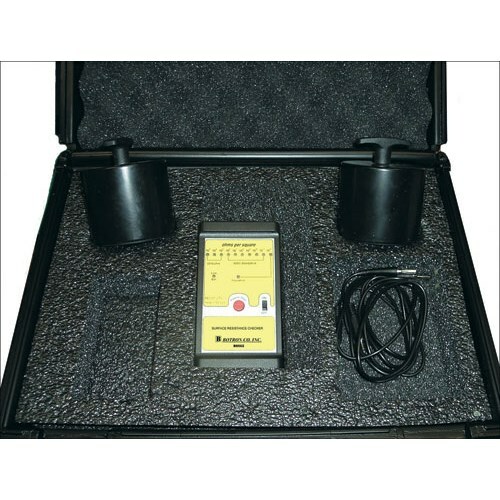 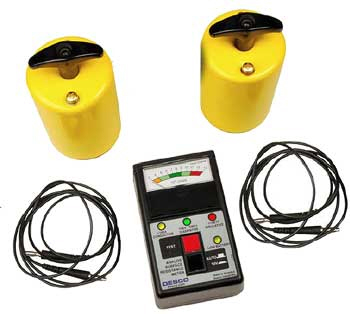 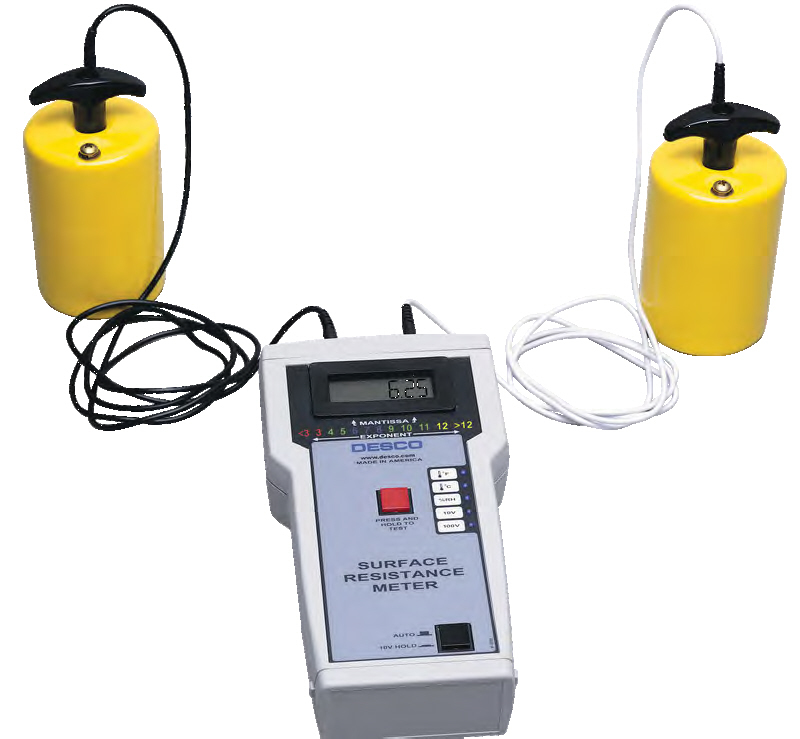 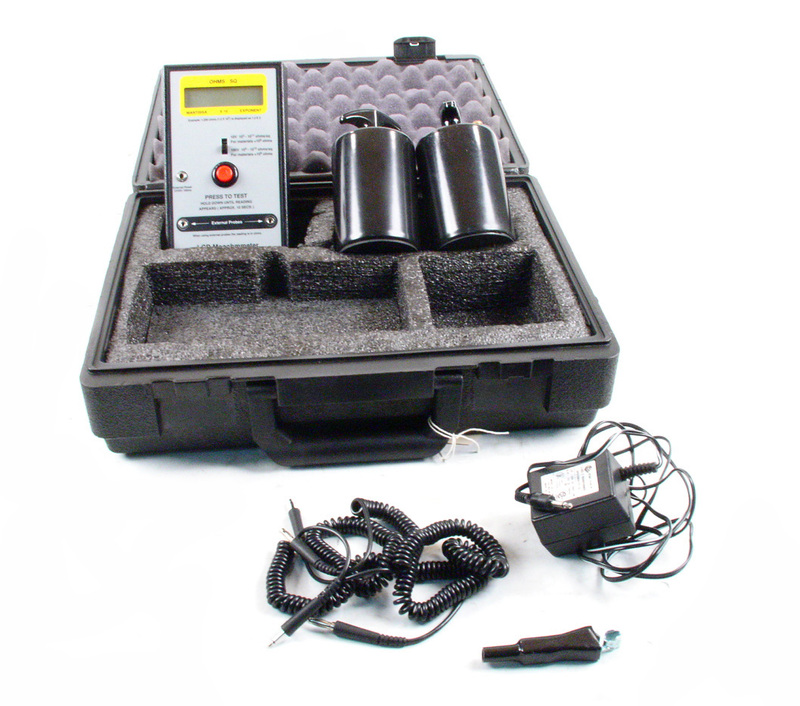 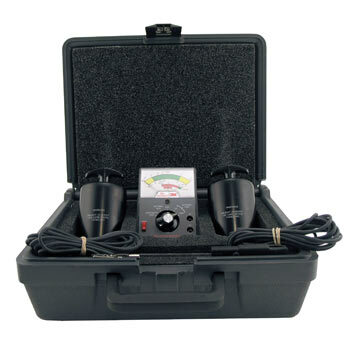 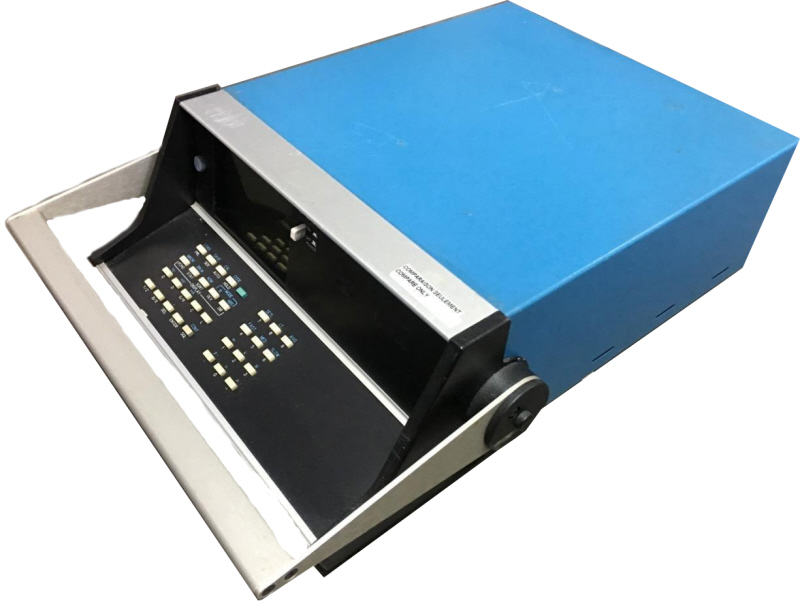 Desco 19780 Surface Resistance Test Kit includes 19781 resistance meter plus two 5 lb electrodes and test leads. 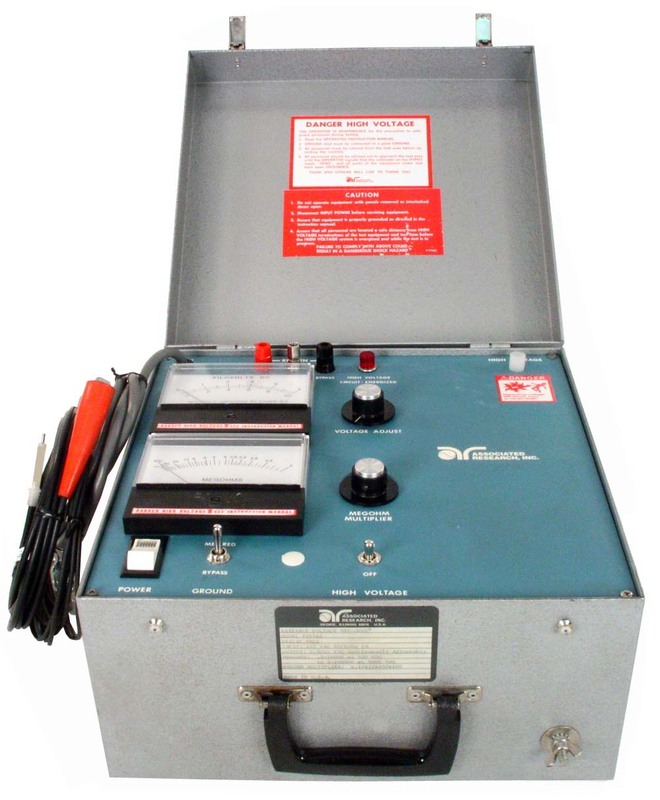 Desco 19784 Analog Surface Resistance Test Kit includes 19784 resistance meter plus two 5 lb electrodes and test leads in a carry case. 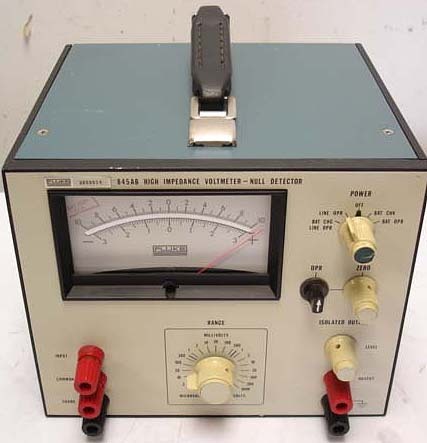 Eaton / Ailtech NM-17/27A EMI Receiver Field Intensity Meter 9 kHz to 32 MHz. 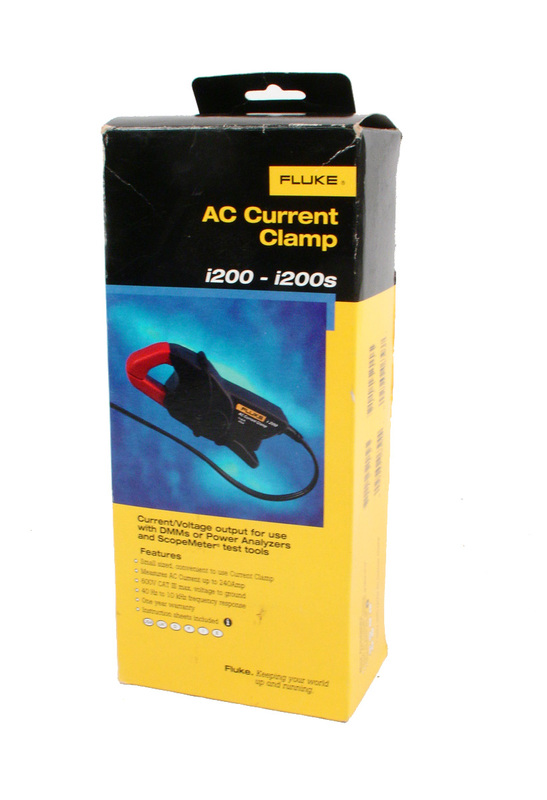 Fluke 1503 Insulation Resistance Multimeter - Compare to the AEMC 1015, 1026 & 1040 models. 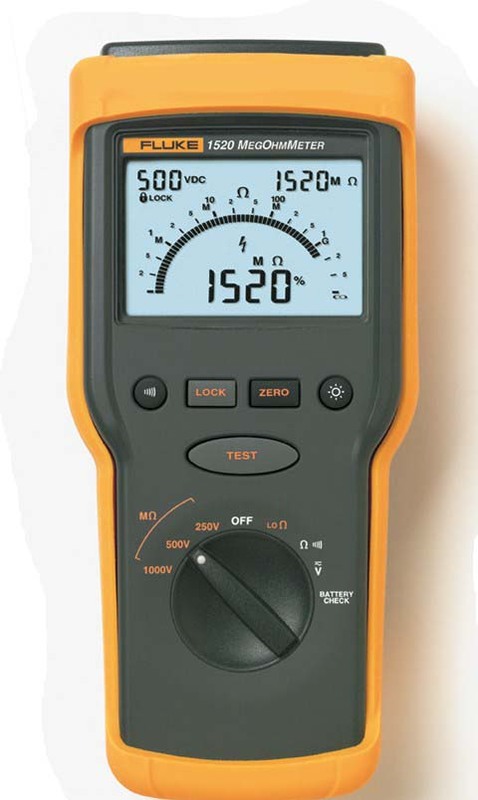 Fluke 1507 Insulation Resistance Multimeter - Compare to the AEMC 1050 & 1060 Models. 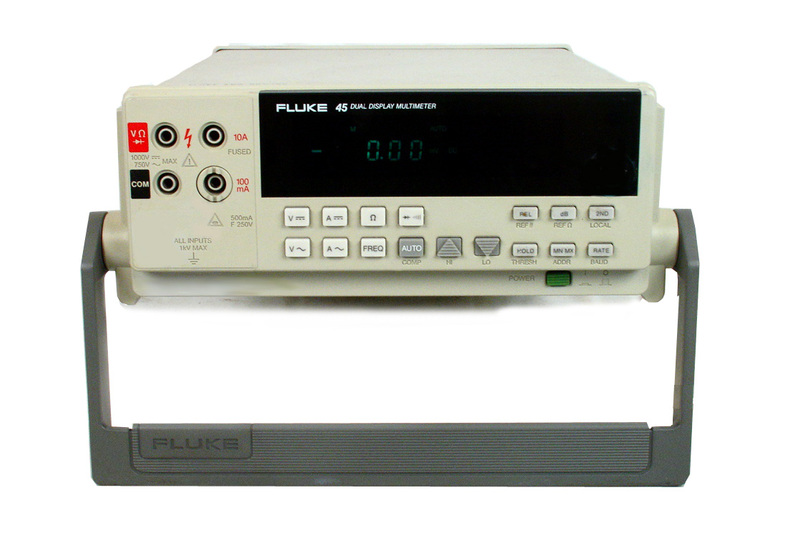 Fluke 1520 Megometer / Insulation Tester - Compare to the AEMC 1026 & 1045 Models. 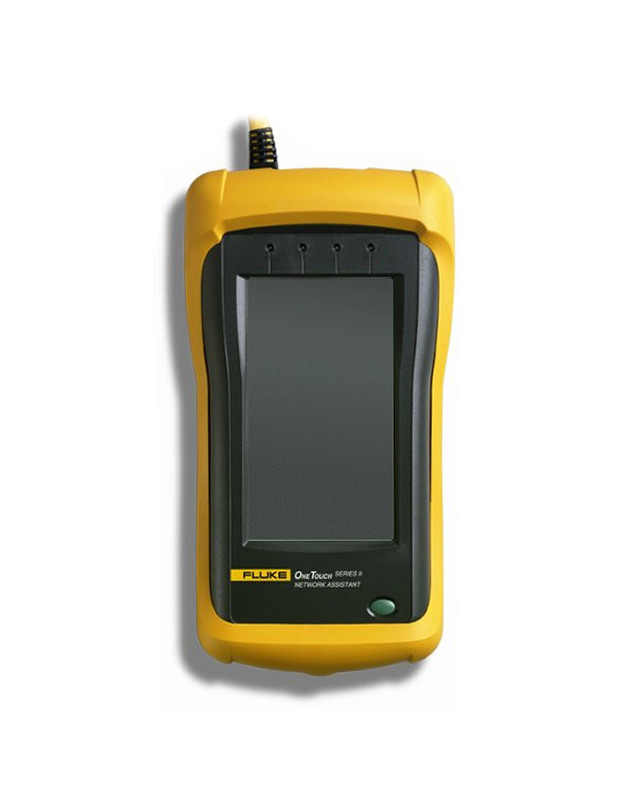 Fluke 1623-2 Earth / Ground Tester GEO offers fast, accurate earth ground tests using all 4 test methods. 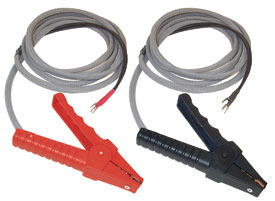 Stores test results and downloads to computer via USB. 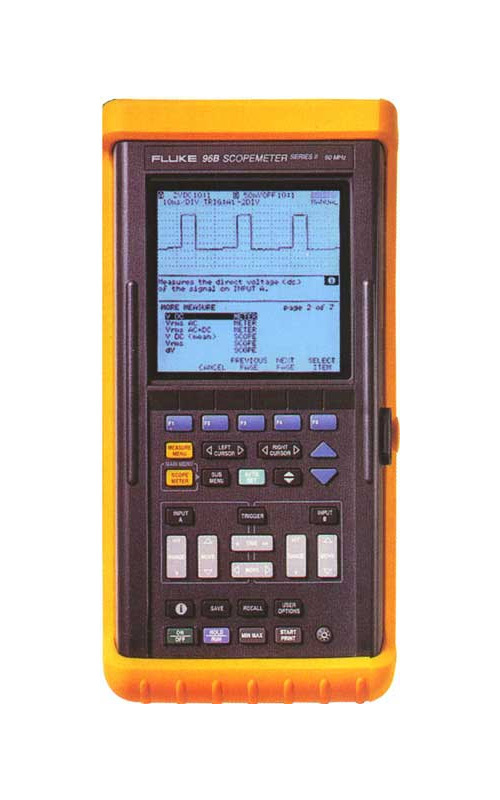 Fluke 196B - 100 MHz ScopeMeter Handheld Dual Channel, 1 GS/s Oscilloscope, Multimeter, Recorder Combo. 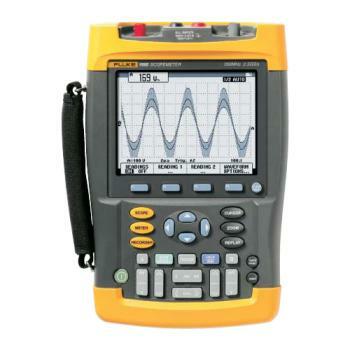 Fluke 45-01 - Dual Display Multimeter with rechargeable battery option. 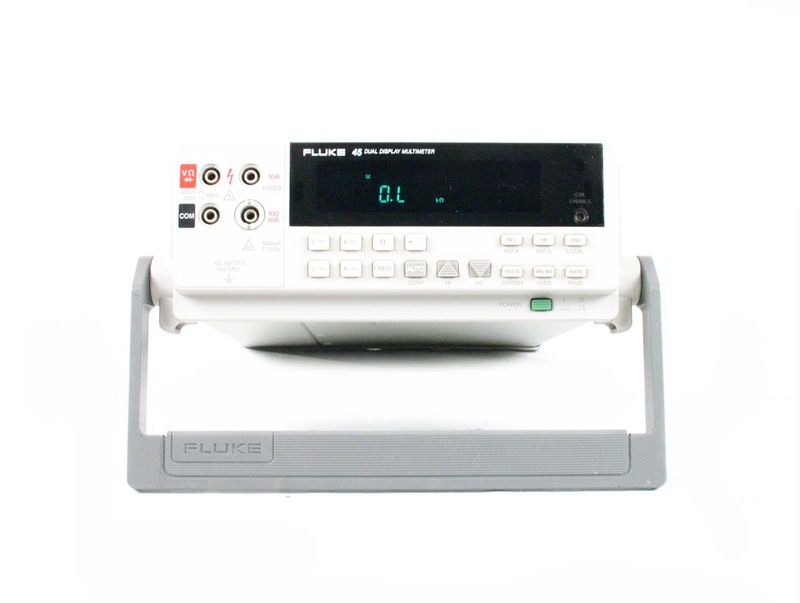 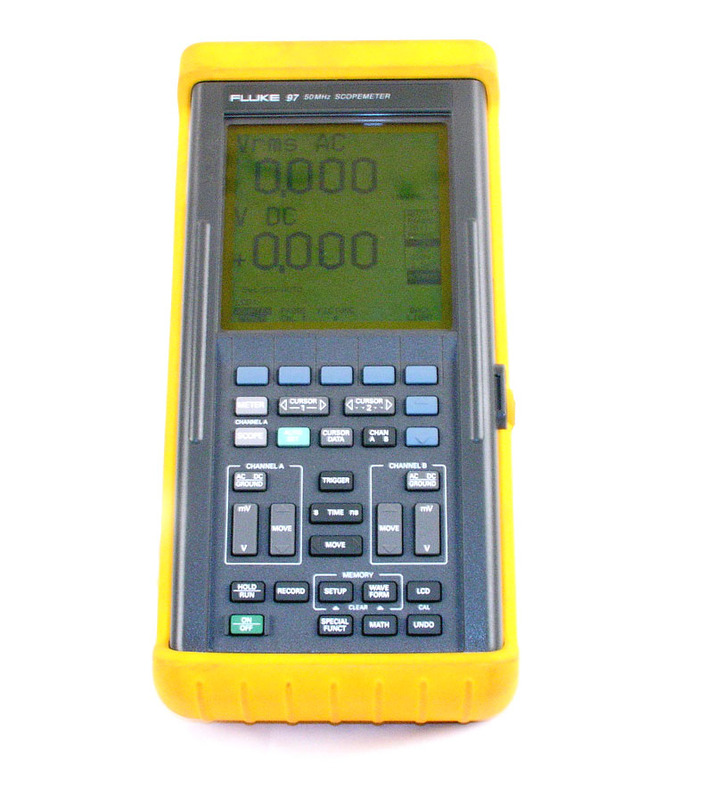 Fluke 8502A - 6.5 digit DMM. 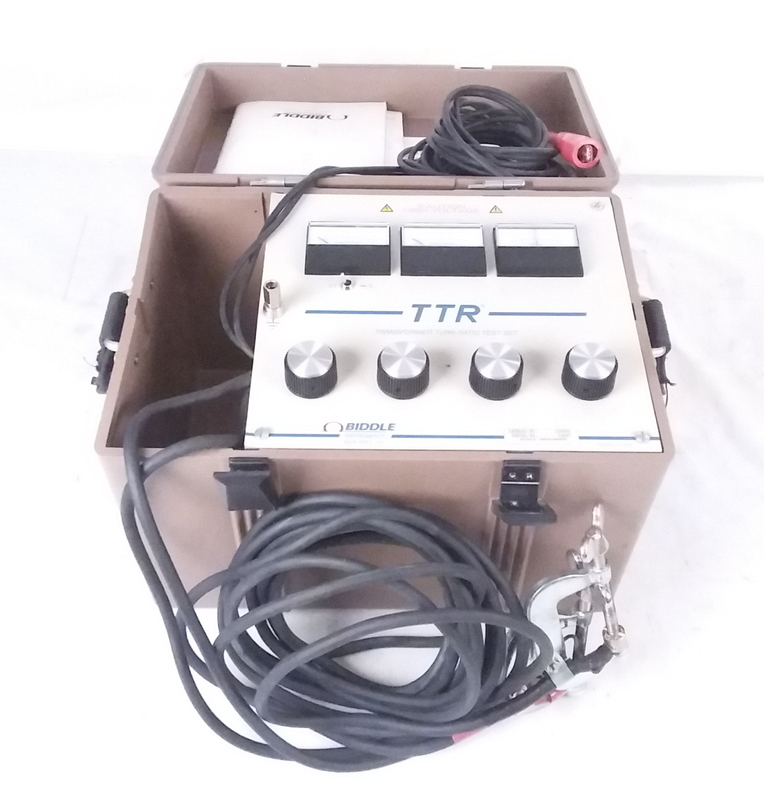 Includes RMS AC option. 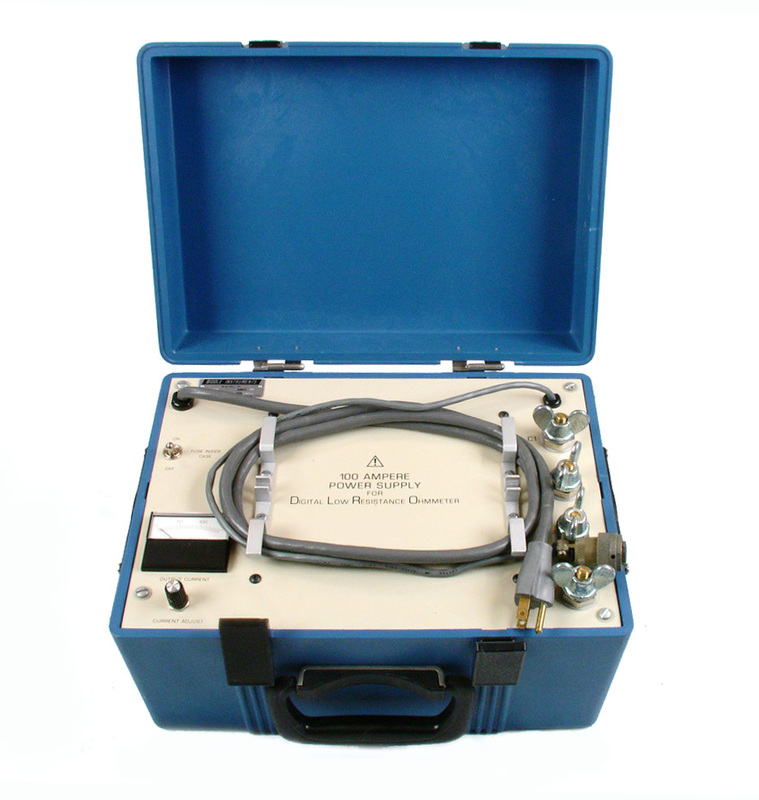 Call for availability of other options. 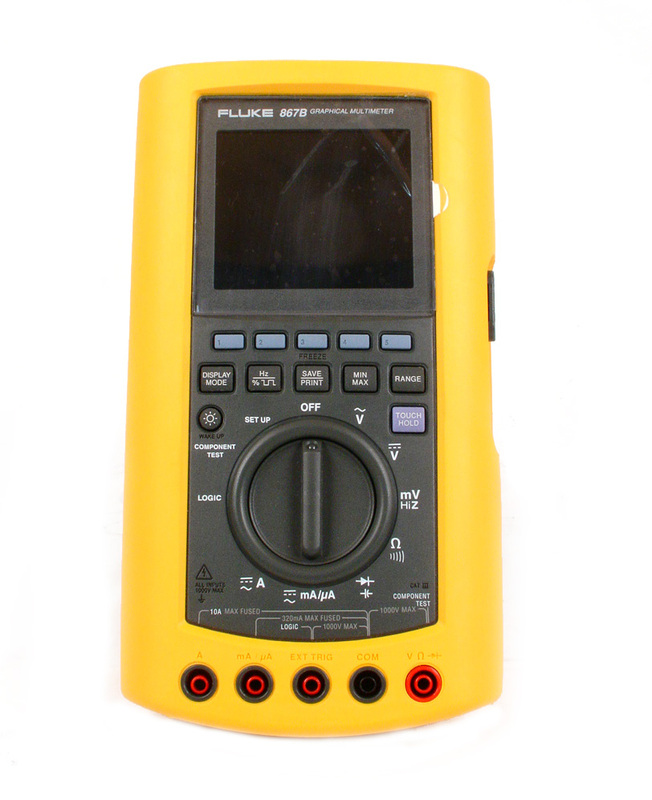 Fluke 8840A 5.5 digit System DMM with option 5 & 9 TRMS AC and IEE488. 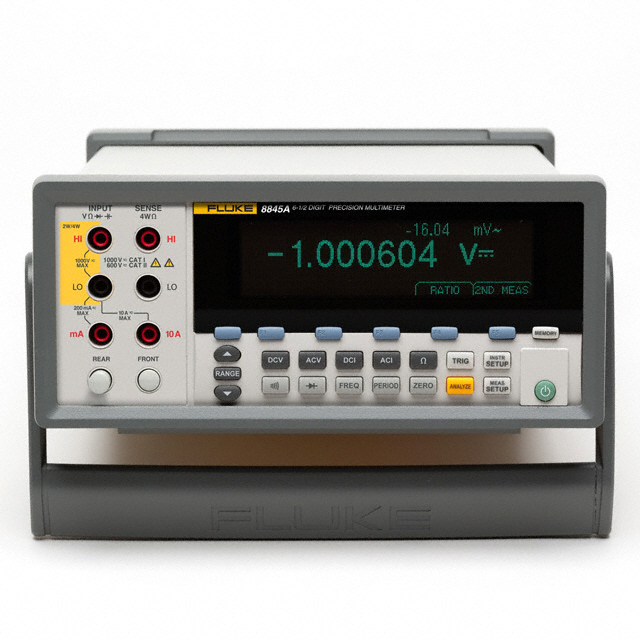 Fluke 8920A True RMS wideband digital voltmeter. 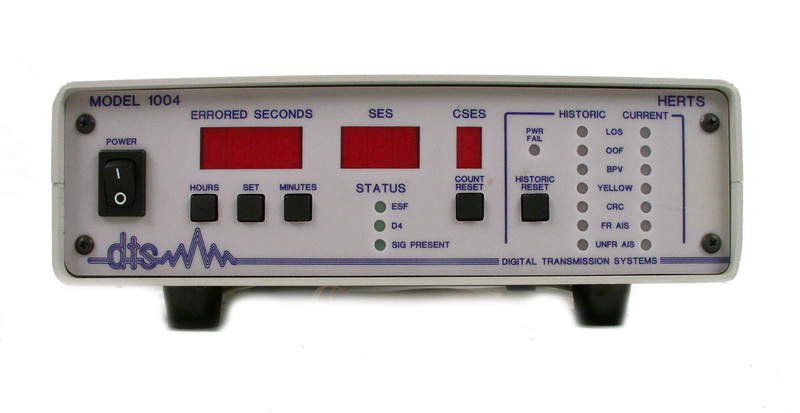 10 Hz to 20 MHz. 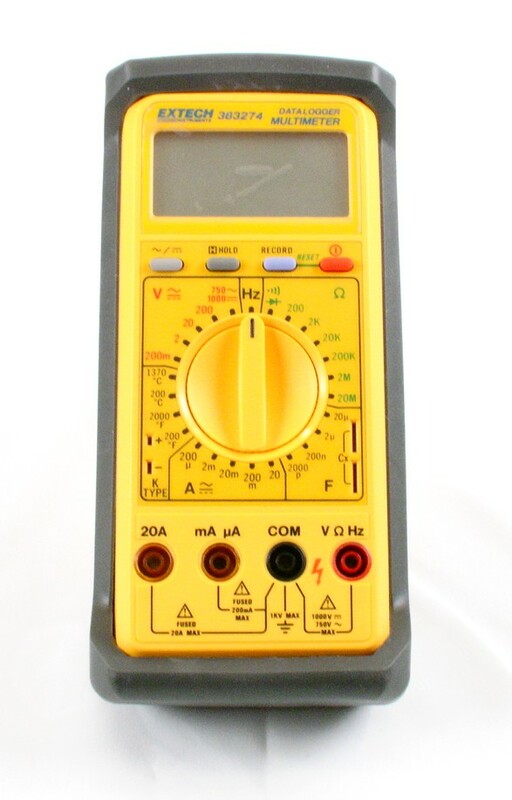 Fluke 8921A True RMS AC Voltmeter. 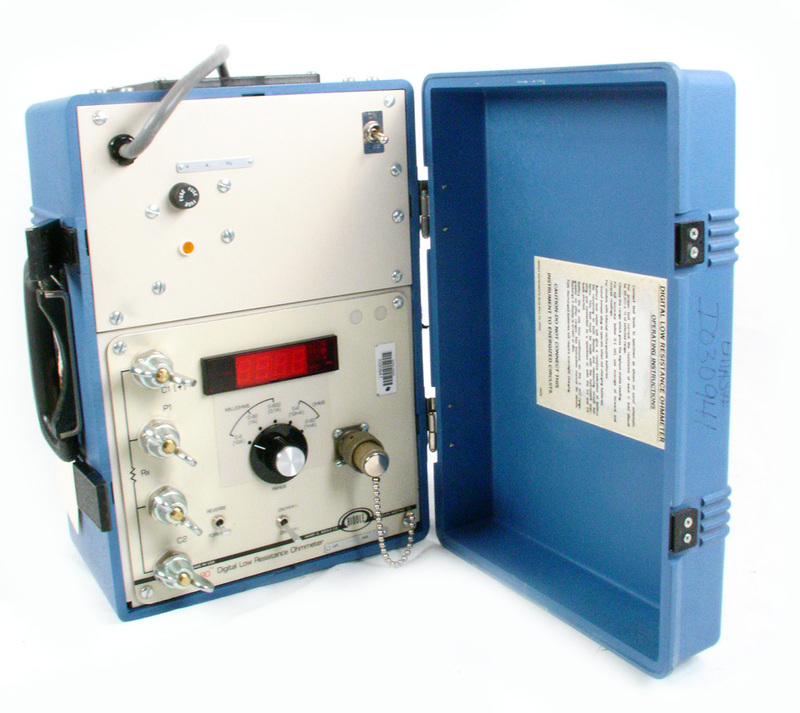 10 Hz to 20 MHz. 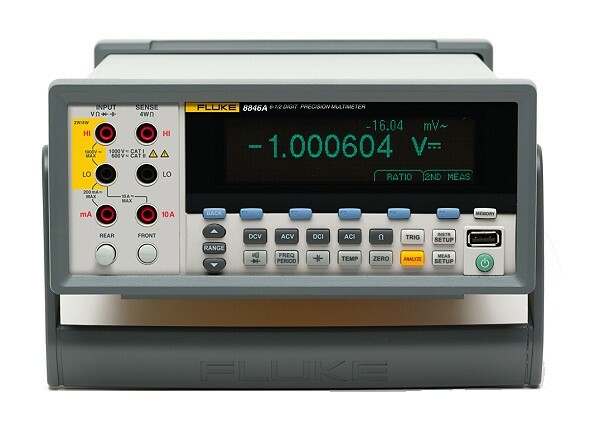 Fluke 8922A True RMS AC Voltmeter. 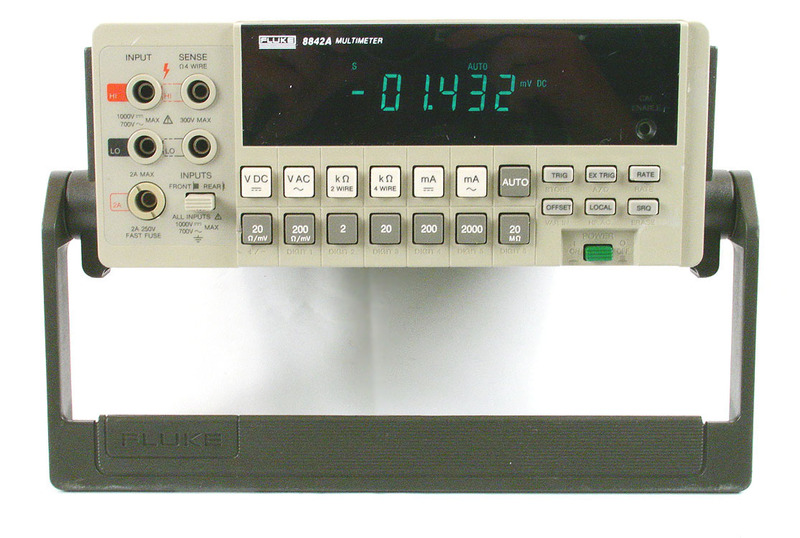 2 Hz to 11 MHz. 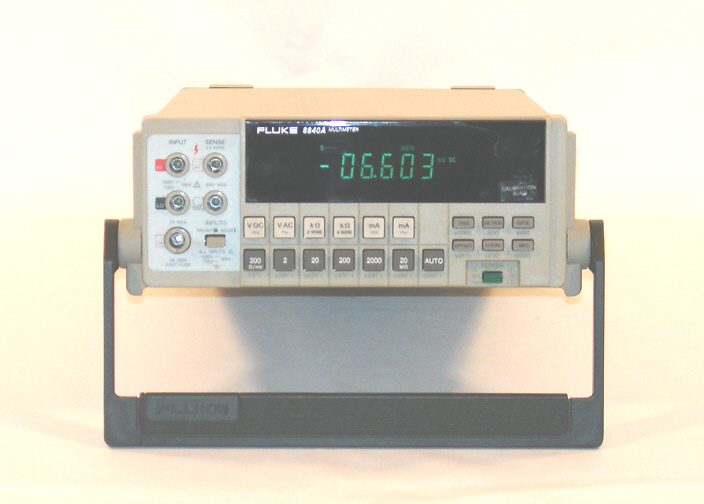 Fluke Scopemeter model 97 dual channel 50 MHz scope plus multimeter. 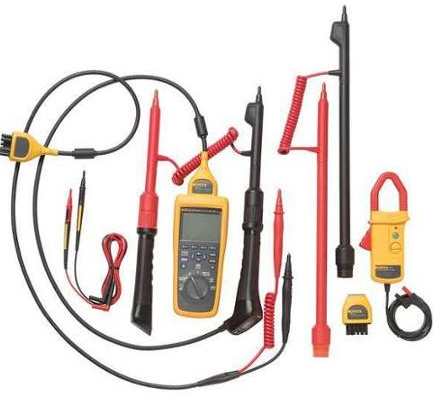 Fluke BT521 Advanced Battery Analyzer - complete kit.